« Valentine’s Day Bourbon Barrel Aged Cider Release! 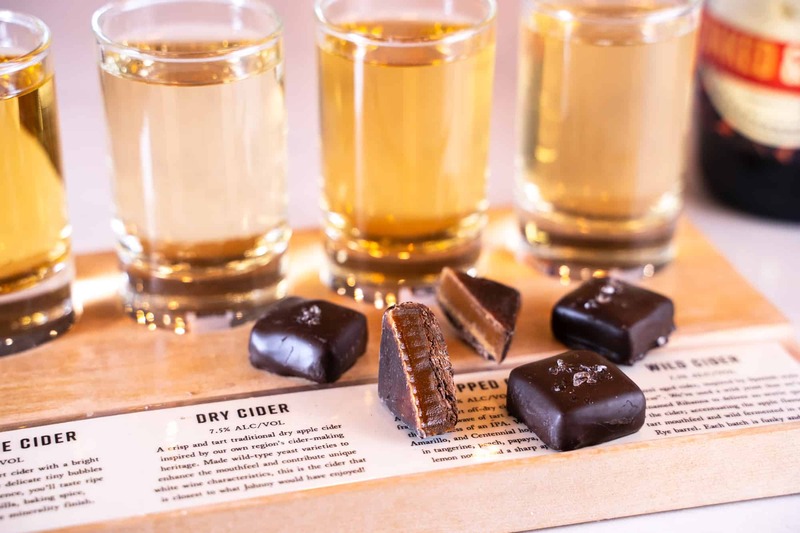 Join Threadbare for a very special Valentines Day Cider and Chocolate pairing tour! Bring your sweetheart and get a taste of Threadbare Cider & Mead, and locally made chocolate from Edward Marc Chocolatier! The tour includes a cider cocktail to start, cider tastings with chocolate pairings throughout, a tour of our fermentation process, and the quirky history of Johnny Appleseed, the real man. We’ll walk you through how we start the cider making process with local apples and interesting yeasts to produce a portfolio of bottle-conditioned, wine style ciders. The tour will last is one hour and the Threadbare Kitchen and Bar will be open on Valentine’s Day from 5PM- 10PM.